Are you overwhelmed with all the gifts you need to buy in the next few weeks? Today I'm sharing tips to help you plan out what you are going to buy for each person on your list! If you shop early you'll avoid some of the crowds and be able to enjoy yourself during the holidays. Depending on your financial situation, life circumstances, and family traditions, you may not give gifts to many of these people, but it's good to think about who you are thankful for and show them how much you appreciate them during the holidays. Gifts don't have to be expensive. Even homemade treats with a holiday card show people you're thinking of them. There are lots of free printable Christmas gift planning lists available online so check out my Christmas Organizing board on Pinterest to choose one that will work for you! If you're looking for ways to simplify your holidays, you may want to reduce the number of people you're giving to. This can get touchy in family situations, but an open discussion, early in the season can be helpful. As families grow, consider only giving gifts to the youngest generation. Or drawing names. Or going someplace together instead of exchanging gifts. 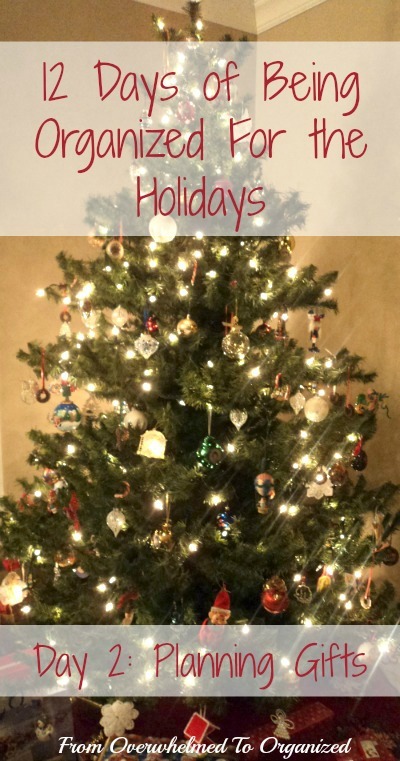 You'll all enjoy your holidays more when you have less gifts to buy, less stress about whether someone will like your gift, less gifts to wrap, less to transport to family gatherings or ship to people who live farther away, less mess when unwrapping, and less to have to find a place for when the holidays are over. What you will gain is more time to spend with the people you love. Doesn't that sound good?! Just treat the discussions gently, as traditions are hard to change. And for many people, giving and receiving gifts is their love language and making changes in this area can lead to confusion and hurt. Be patient and understanding and take baby steps if necessary. Ultimately you give gifts to each other because you care about each other, so handle this in a way that honours the relationship. For younger kids this may take the form of a letter to Santa. For older kids, many families have kids write a list of a few items they would like for Christmas. There are no guarantees that they will get all or even any of the items on their lists, but it helps you or other people know what they'd like. This can really help reduce clutter after Christmas. When other family members or friends ask you for ideas, you'll have ideas you can give them that you know your kids will like. It's also good to confirm sizes, interests, favourite colours, etc. to save returns or exchanges after Christmas. Again, there are free printable wish lists available on Pinterest. Or, you can even create a wishlist on Amazon. Then just let people know how to find your list. Kind of like registering for a wedding... but on a smaller scale for Christmas! Now comes the fun part! You get to decide what you will give everyone. 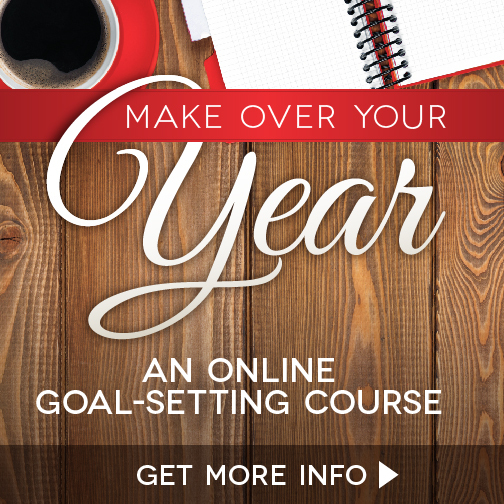 You can set a budget for each person so you don't go overboard. Then just start brainstorming gifts. You can always narrow your list down if you have too many ideas or you are over budget. Make note of which stores you can likely find the items on your list so you can watch for sales. Having a list will help you stick to your budget and not buy "extras" as you shop. Plus it will save you time if you know what you want to look at in each store. If you buy generic gifts throughout the year when you see good sales, gather them all in one place and take inventory of what you have already. You can use this free printable gift inventory to help you out. Then think through who you can give which gifts to. 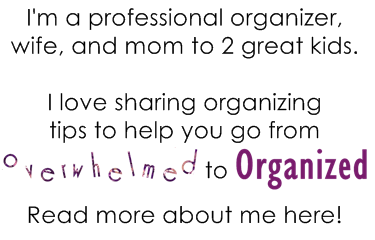 As a professional organizer, I often find clients have a difficult time decluttering items that were gifts, even if they never use them, and they don't have the space to keep them. I also come across unopened toys and games and activities, and most often they are gifts the kids received at Christmas, but because they opened so many gifts, they didn't actually use them all. Help the people on your list out... give them clutter-free gifts so they don't have to deal with clutter later. Here are several clutter-free gift ideas for adults. Click the pictures for details (some are affiliate links). Food - always a favourite! 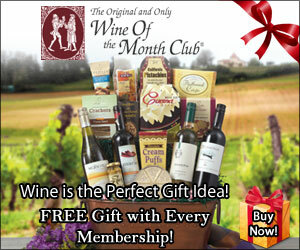 And perfect for a thoughtful, but not very costly gift. We give little packages of white chocolate candy cane bark to our neighbours. 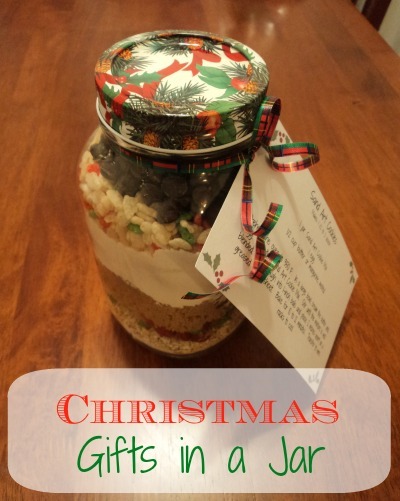 We also give Christmas-themed gifts in a jar to the kids' teachers. Classes - you can gift a class to just the recipient, or suggest you take a class with them and you can both learn a new hobby and get to spend some time together as you do. 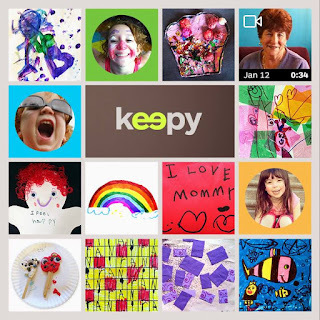 Craftsy has lots of online options. Digital music - your recipient can declutter their old CD's and cassettes and enjoy their favourite songs digitally! 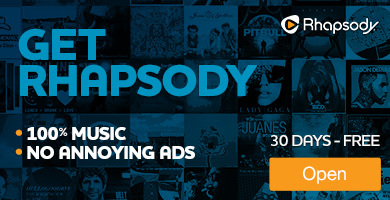 Rhapsody is one option (affiliate link). Note: for my Canadian and International readers, Rhapsody is only available in the US. Calendars - good for adults or kids. 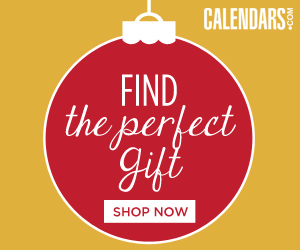 Help your friends and family stay on top of their schedules with a calendar that fits their personality! 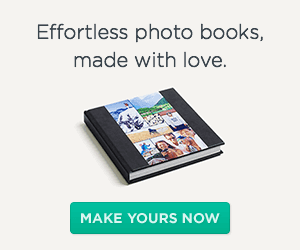 Photobooks - share family memories or sentimental photos in a photobook. You'll preserve these special pictures in a slim book instead of boxes of deteriorating photos or old photo albums. 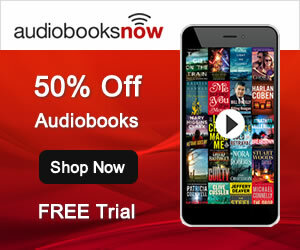 Audio books - great for the book-lover on your list who doesn't have space for physical books! 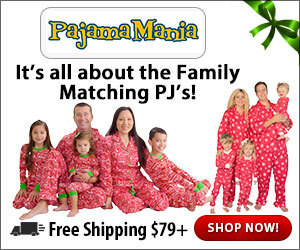 Matching PJ's - if you usually buy new pajamas for your kids for Christmas Eve, why not make it a family affair? Also fun for extended family gatherings. How cute are these?! So your task for today (or as soon as possible), is to plan what you'd like to give everyone on your list. 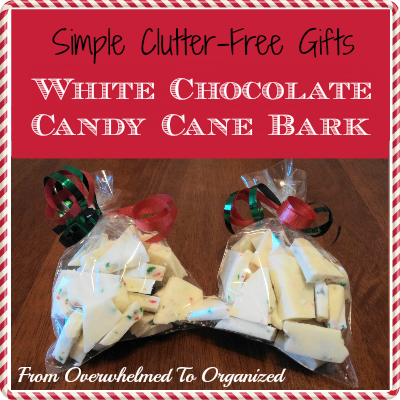 Make sure you include lots of clutter-free gift ideas. Next, it's time to shop! 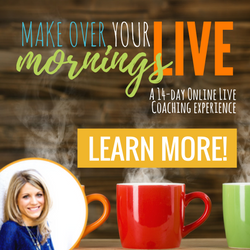 I'll be sharing tips next week for capitalizing on sales (just in time for Black Friday!). 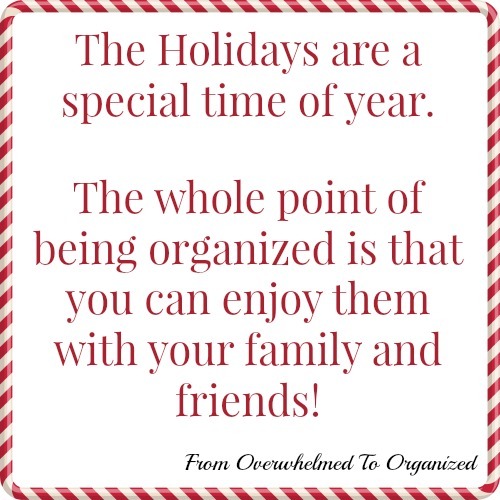 What do you find most overwhelming about the holiday season? Do you plan ahead for what gifts you will give each person? What are your favourite clutter-free gifts? Some of the links in this post are affiliate links. This means that if you purchase something after following one of these links, I will receive a small commission, at no additional cost to you. 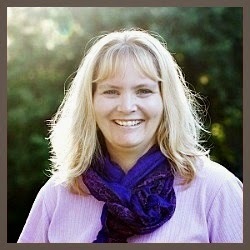 Thank you for helping support this blog and its associated costs! I totally agree Annette! I'll be covering some of those ideas in another post. Thanks for sharing your post... great ideas in it! My Christmas list is down to just about nothing. We don't send anything to either of our families as it to expensive so all I really do is make a few Cookies and Goodies plates to give to neighbors and take to work. That's definitely a good way to simplify your Christmas Marlys! We're gradually cutting back, and every year our gift-giving list is a little shorter. I'm sure your neighbours and colleagues appreciate your goodies! That's great that you only have grandchildren to give to and it sure makes it easy that they're requesting money. The good news is you know you're not adding clutter to their homes because they'll be able to purchase something they really like. I love that you're finding creative ways to give money!